This is such a fun snack to make, it’s easy, nutritious and great for tucking into in front of a film. 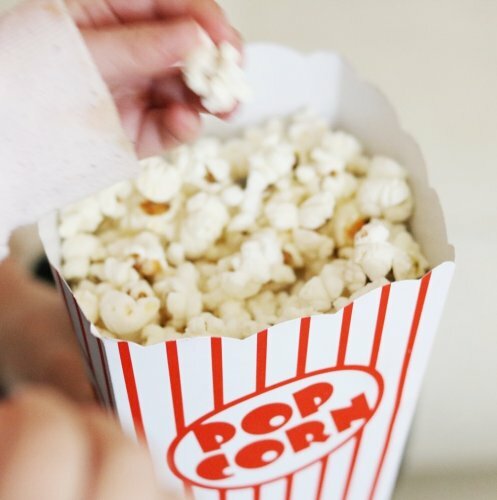 Popcorn is a wholegrain which means it’s a great source of fibre and it’s also high in antioxidants -some say it event tops fruits and vegetables in its antioxidant levels. Flavour your popcorn to suit your fancy, I love keeping it simple with salt but why not try some black pepper, cinnamon or maple syrup? Have fun listening to the pop corn pop! Once the popping sound dies out, remove the pan from the heat and add your topping!